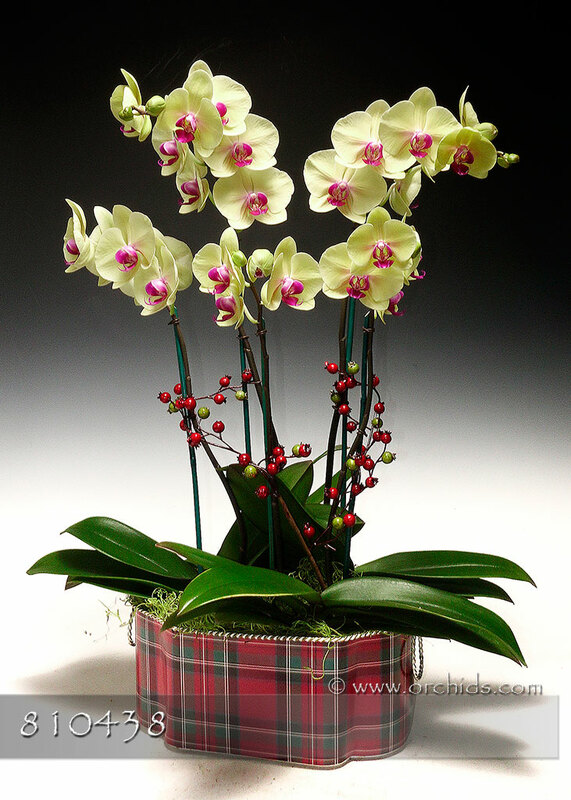 Reflecting the abundance and warmth of the holiday season, our Boundless Joy Gift Arrangement ensures a most amazing focal point for any holiday decorating ! Overflowing with the season’s warmth of colors, this abundant arrangement will be created by our designers only upon receipt of your order. 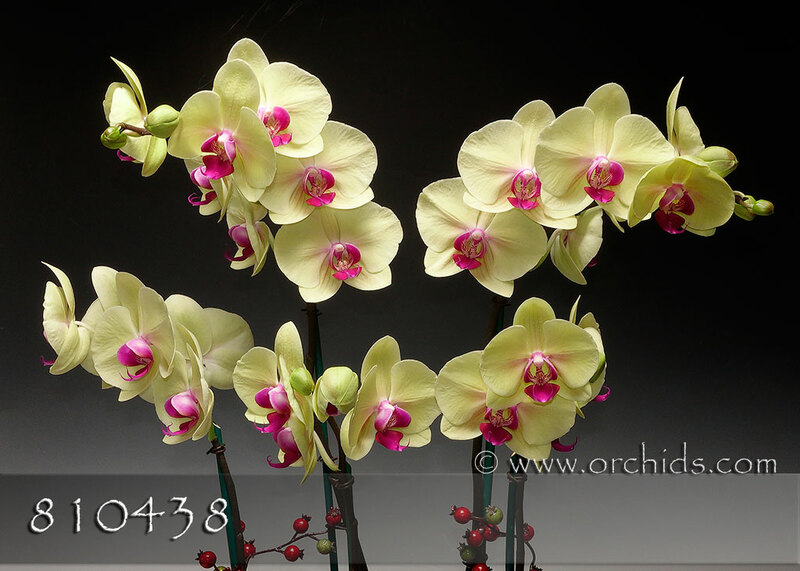 After selecting the ideal combination of Phalaenopsis, they will artistically arrange them for the most perfect of presentations in our holiday-inspired cachepot. Standing 24” in height, this gift will be adorned with faux holiday berries weaving gracefully among the spikes and finished to perfection with a fluffy bed of jade Spanish moss.